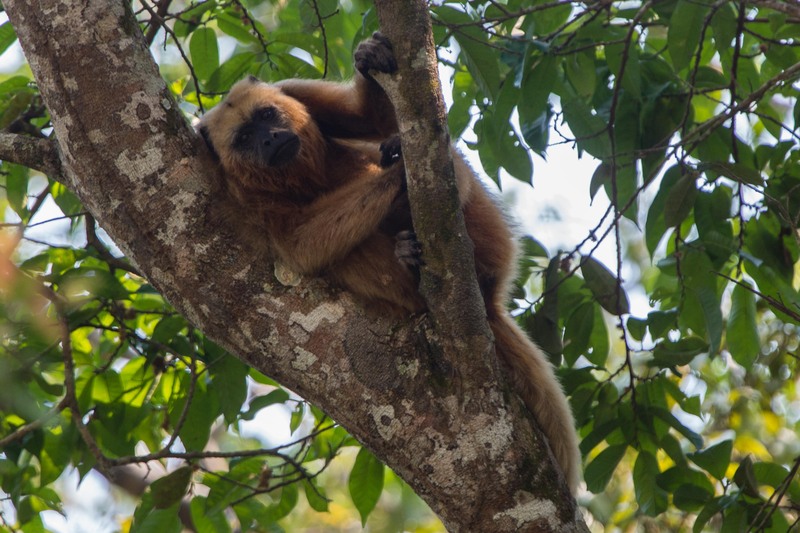 Howler, capachin monkeys and much more! We had some internet issues yesterday and I wasn’t able to upload my images. 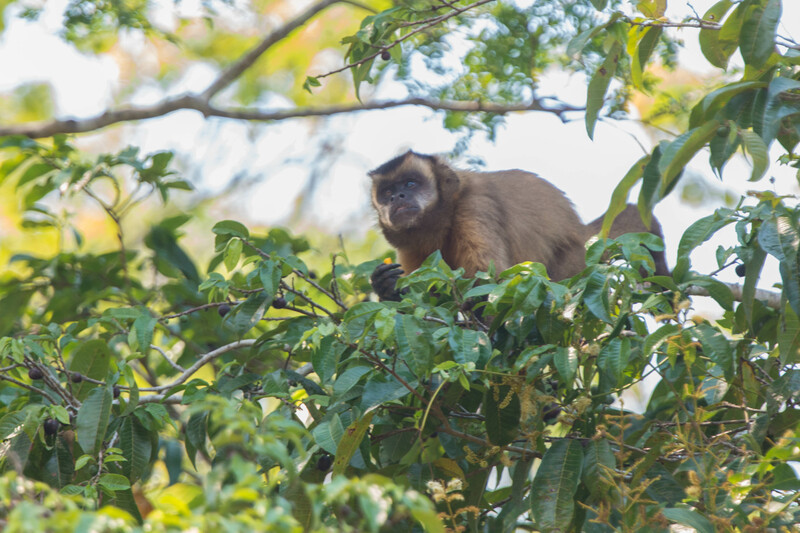 Today, Tuesday, we moved from Jaquar Camp to Posada Rio Claro about three hours north of Jaguar Camp and about an two hours outside of Cuiaba. Yesterday, after a great day on Saturday spotting two jaguar and Sunday when we shot a lot of colorful birds AND saw three jaguar I was beginning to wonder if we’d seen all we were going to see. We’d ask our guide, Tito, to try and find hyacinth macaws, howler monkeys, a swimming jaguar and an anaconda. 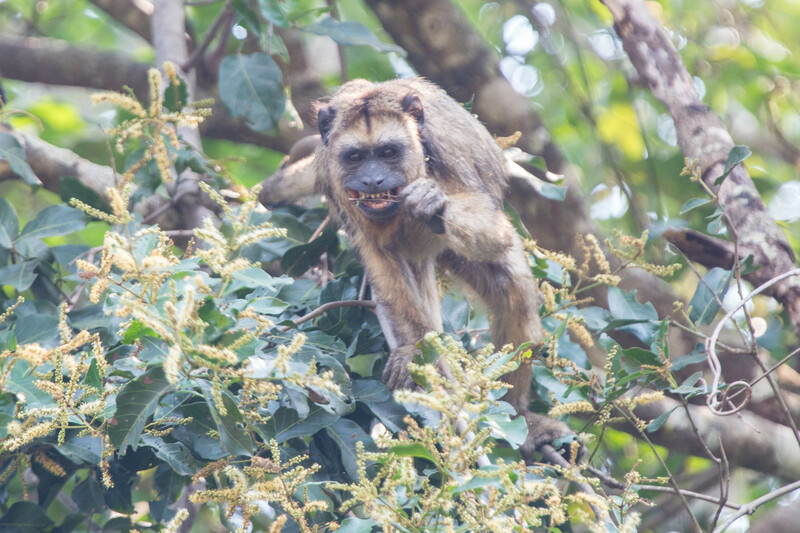 As we cruised a small inlet off the main Rio Cuiaba, we spotted the howler monkeys and some capachin’s in a large tree next to the river. 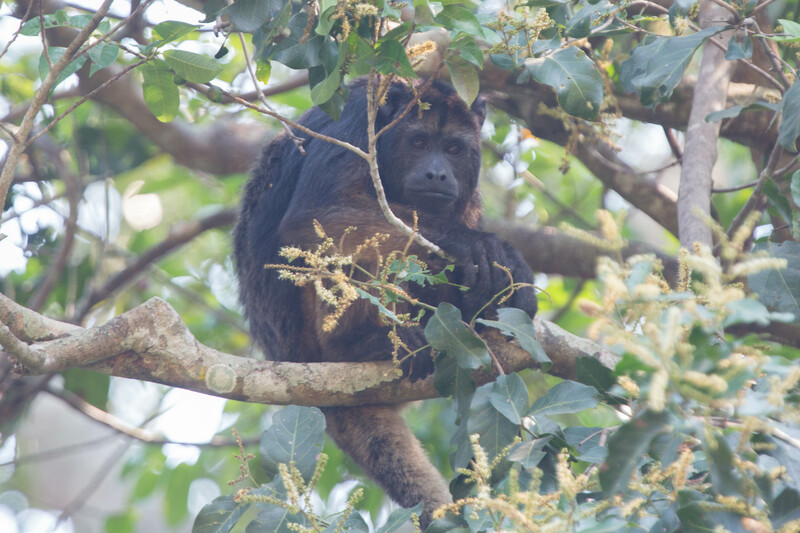 Howler monkeys are black, brown and red. I saw a red one in Ecuador two years ago but I was probably an eighth of a mile away. It looked more like a red blob. These were maybe 30 yards up. 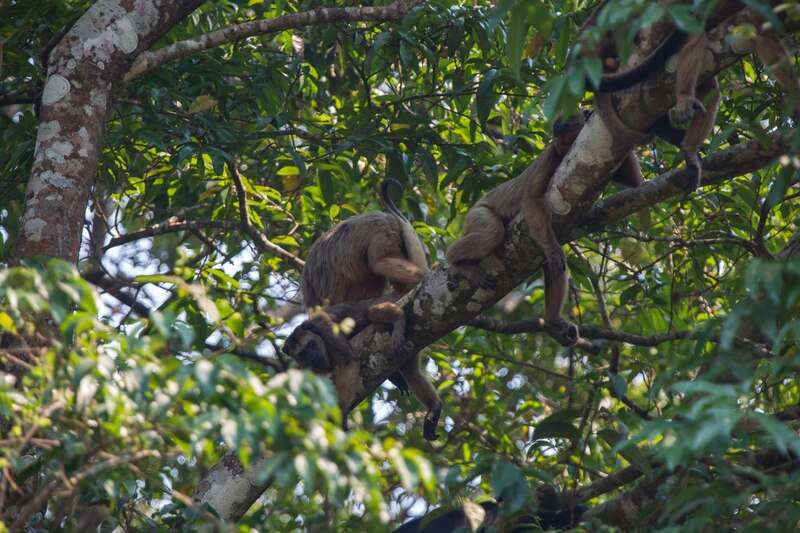 Thanks to a long lens, I was able to see them and recognize them as monkeys! I think we saw four howlers in the picture on the right on one limb. 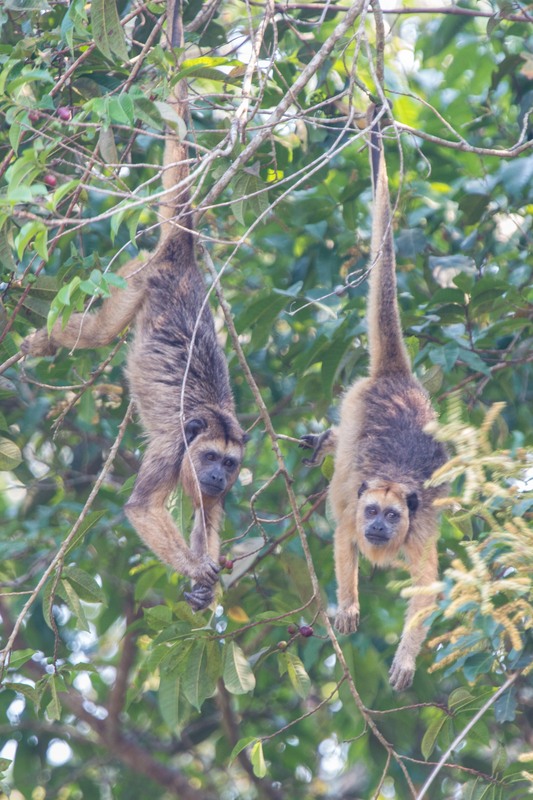 The capachin’s are much smaller monkeys. 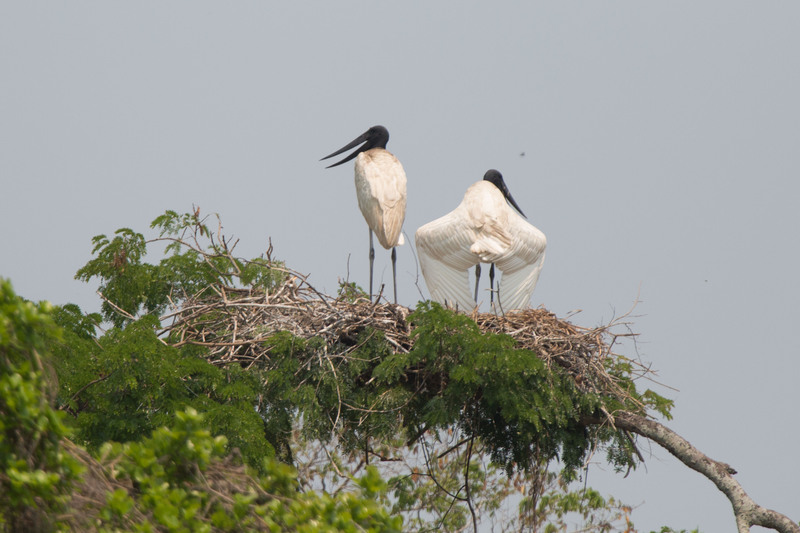 We also came upon the jabiru’s sitting on a nest. 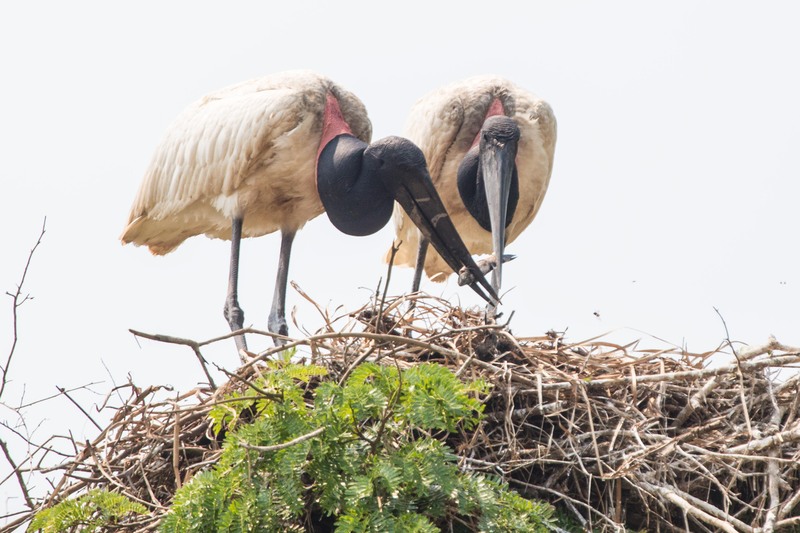 The female appeared to be shading the nest and we assumed there were babies in the nest but we couldn’t see them. We moved the boat around to the front and the two messed with whatever was in the nest and eventually they pulled up a small fish that they proceeded to fight our. The female won. No suprise there. I’ve been working on the blog since lunch at this new place. We are headed out on a walk shortly. After dinner tonight, we’re taking a ride in a safari truck to see if we can spot a giant anteater. There’s more from yesterday but I’m out of time.